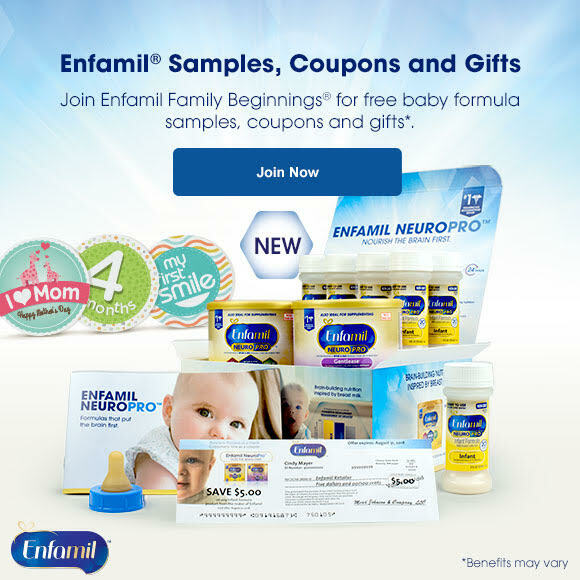 Sign up for Enfamil Family Beginnings to get FREE formula samples, coupon savings, and special offers. When you sign up for this as a new or expectant mother, you’ll get a welcome gift pack containing up to $400 worth of freebies and coupons! « Possible Free Dunkin’ Donuts Coffee Sample! Thank you for this wonderful gift! I just gave all things baby away in May and found out we are expecting again in June.